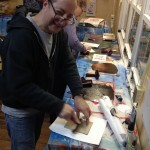 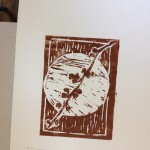 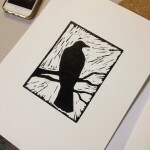 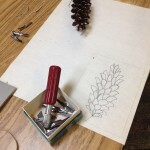 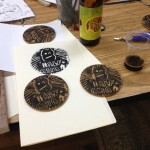 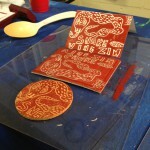 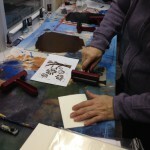 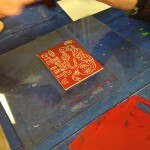 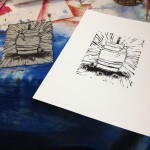 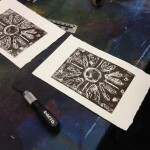 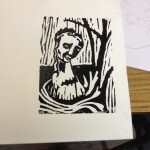 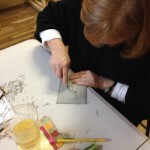 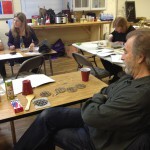 Recently we hosted another Art Adventure, this one was Linocut workshop with a distinct theme… beer and wine. 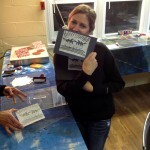 Art Adventures are our interpretation of a “paint night”, but soooo much more exciting!! 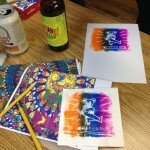 The group created images for their own bespoke small-brew batches of wine or beer- imaginary and real. 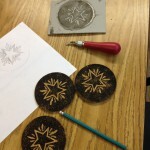 Each design was unique and imaginative, keeping with the theme, we printed on fine art paper, coasters, and cocktail napkins! 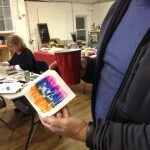 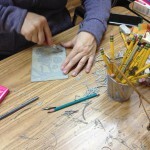 I hope you will consider bringing your group to the Art Garage for a customized Art Adventure.